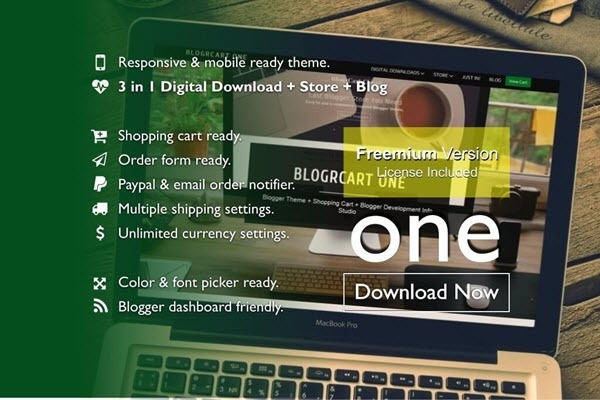 Elegantly crafted free premium featured responsive Bootstrap 3++ mobile first Blogger e-commerce blog store theme pre-installed shopping cart, send order email, Paypal checkout & more. Touch/mouse swipe enabled image carousel product slider easily customize this theme with detail documentation provided. 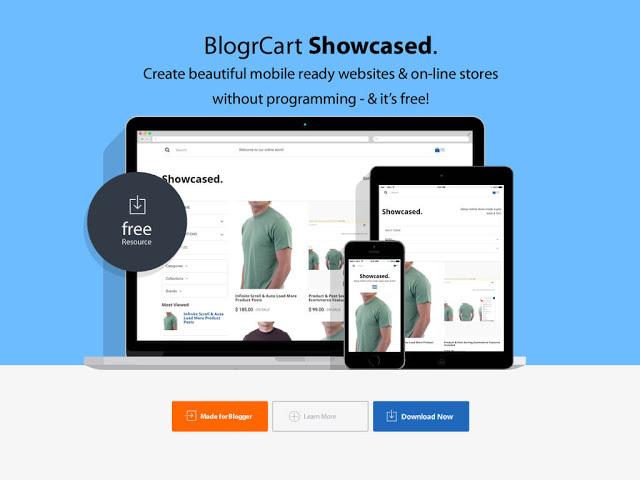 Summary BlogrShop, a free Blogger store / shop template with cart feature, auto e-mail invoice, checkout and uses pretty much existing blogger widgets. Nice structured codes and lightweight simplecart plugin which you can easily customize your e-mail invoice data easily. Full width current product / post slider, social bookmark ready and lots of prebuilt styling. Added custom internal store product search bar with 2 navigations for personalized product categories. 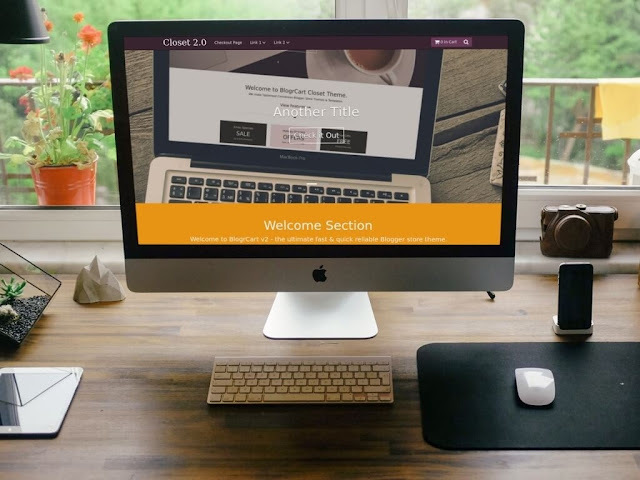 Sell e-books, secret recipe's, video games, software plug-ins, pay per download themes & templates, videos, photos, music, records & anything you can imagine for digital downloads. Get even more exposure & build more sales leads! You can even list & sell pre-loved items to clear up your store.